I've been a big fan of Schoppel yarns for a while now. 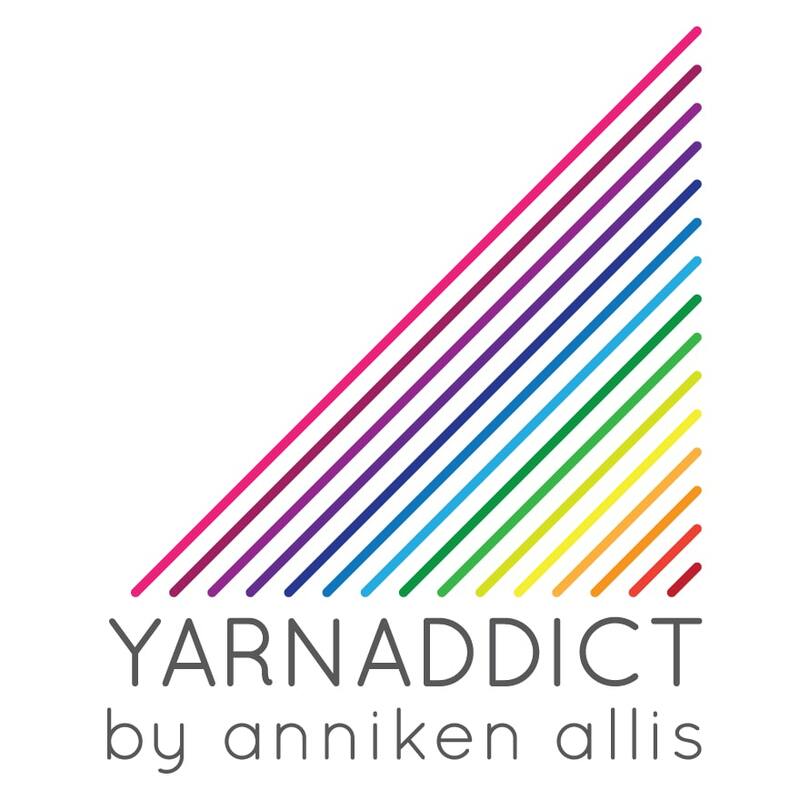 And I was thrilled that I was able to stock these yarns for Wonderwool and Woolfest. We sold lots at Woolfest but there is a little bit left which is now in the shop. As these yarns are new to my shop I thought I'd do a little introduction post. First up is their delicious 6 Karat which is a heavy lace weight with 600m per 100gr skein. The colours are hand-dyed in semisolid or variegated colours. I'm desperate to design something with this yarn very soon. It's gorgeous to knit with. I'm planning to get Fleur knitted up in this yarn in time for Yarndale in September. Admiral Cat Print is another of Schoppel's hand-dyed yarns. This is a classic sock yarn with 75% Superwash Wool/25% Nylon. Cat Print is perfect for socks but also for lace shawls. Many of my designs take just 100gr of sock yarn and this is a perfect choice. Over the coming months I'll be having this knitted up in some of my old designs and maybe even design something new. I've already re-knitted several designs and designed new designs with Crazy Zauberball. I love this yarn. It's also been my favourite sock yarn this year. My Mum knitted Em a pair of sock for this about 4 years ago which she still wears (although they're getting a bit small on her now) so they make hard wearing socks. I've knitted 3 pairs for myself so far this year with another pair on the needles. So what can you knit with Crazy Zauberball? Glacier takes 2 balls and is knitted sideways with short rows and beads. My Crème Brûlée sock pattern is a pattern written for new sock knitters with extra info to make knitting the socks easier. Before this year's shows I had Calypso knitted up in Crazy Zauberball but I keep forgetting to include it when I do photoshoots. Zauberball and Zauberball 100 is a sock weight yarn with long stripes and beautiful colours. Zauberball 100 is 100% Merino Wool and has 400m per 100gr ball and Zauberball is 75% Superwash Wool/25% Nylon and has 420m per 100gr ball. I knitted up a new version of Mar Menor with this yarn just before Woolfest. A few months ago I had a new version of Simplicity knitted up in Zauberball but I forgot to include it in the latest photoshoot I did with Vanessa so I'll be doing that in the next few weeks but it looks very effective knitted up in this simple shawl which has a choice of a triangular shape or a half-hexagon shape. Perfect shawl if you're new to lace knitting. Lace Ball and Lace Ball 100 has the same long colour repeats as Zauberball but has 800m per 100gr ball. Just before Woolfest, one of my knitters re-knitted my Piccadilly shawl in a stunning Lace Ball colour. I LOVE this shawl. My favourite colours. We sold lots of this pattern and yarn at Woolfest.. If you prefer solid sock yarns, we've got a selection of Admiral too. This is a classic 75% Superwash Wool/25% Nylon sock yarn with 420m per 100gr ball in beautiful solid colours. Perfect for more intricate socks and shawl patterns. I love Schoppel, I'm looking hard at Karrat. Heavy lace weight is hard to find and I'm looking at a suitable pattern right now!